Eden Wen: Conversations with strangers. Anyway, my life. Work is going well, school is going well. It's also really hot right now. Living in an upstairs apartment in the summertime is hot. 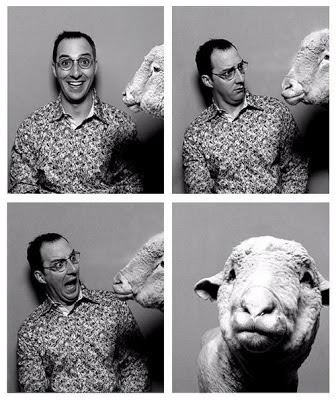 Aaaannndddd tonight, after FHE, I am probably going to begin my "Arrested Development" marathon in preparation for the release of Season Four on May 26th. Oh, Buster. How I have missed you. Friends, come join me if you wish. Here's a song for you too. Ni shi mei gou ren ma? Wo shi mei gou ren! We have so much in common! We should be friends! Dui! Ni xian zai shi wo de peng you.